Have you been considering taking on video marketing in a larger way this year? If you’re looking to add video to your content offerings, this article is for you. The following tips will help you understand how to get started with video. A successful web video is personality-driven. Find someone who comes across as the most “social” on camera. 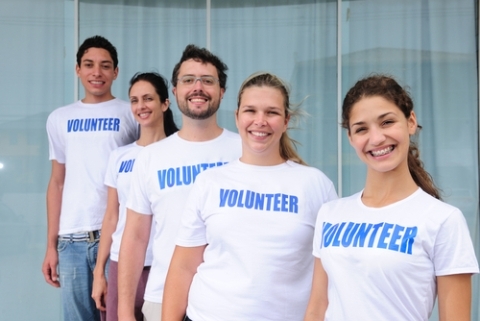 Weigh in expertise, authenticity, personality and familiarity (with the audience). Look at his or her ability to be concise and clear, schedule and availability (to create and engage) and how well he or she can use social networking tools. The person should also be able to produce, publish and do social media optimization with video. 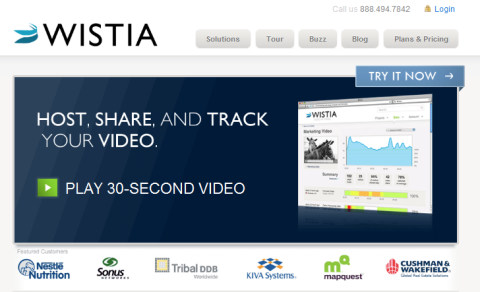 For in-house or crowd-sourced feedback, I recommend Wistia. A key objective with video marketing is to get out as much video as simply and easily as possible, and at the same time, making sure it’s quality content. It’s important to have a streamlined production, post-production and distribution system in place. Will you be shooting in an office, at home or on location (indoors and/or outdoors)? All this will affect the type of camcorder, microphone, lighting and any backdrop you choose. To provide regular content, consistency and some degree of flexibility, I recommend a shoot plan you can commit to for at least 3 months. Will you be doing a YouTube channel or multiple video channels? Do you want a technical solution that can automatically upload the video to your Facebook, Twitter, LinkedIn, YouTube and other social network and video distribution sites? Do you want it to be easily available for mobile viewing or web TV? Do you want to do any live video along with prerecorded? Do you need a special online video platform service? How simple might your solution need to be under common or worst-case circumstances? When committing to any video program, you should allow yourself a few tests before any big project. You’ll likely find that some tweaks will need to be made on the technical side. 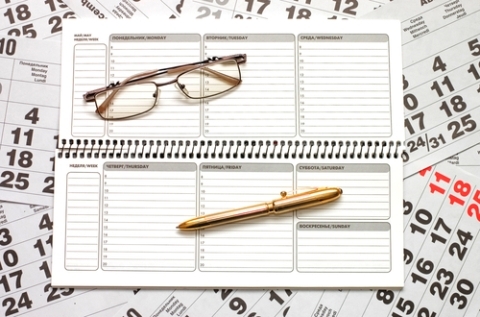 Create a shoot plan you can commit to for at least 3 months. Video marketing works best when your fans, consumers and colleagues are involved. Ask your audience what they would like to see. Get others to contribute to the video creation process. LinkedIn: Take advantage of the Google Docs Presentations and SlideShare Presentations applications for embedding your video into your LinkedIn Profile page. Also, set up your most recent news to feature a link to one of your videos. 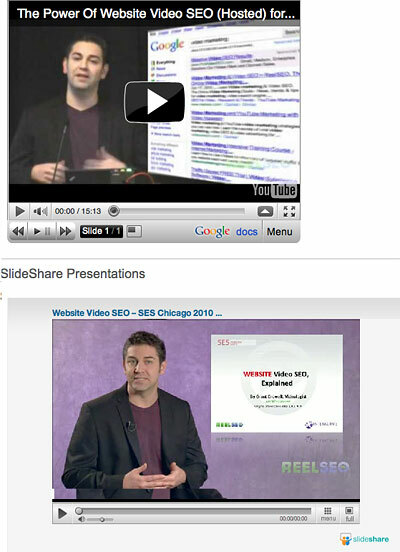 Example of a Google Docs presentation and Slide Share presentation on a LinkedIn profile, from LinkedIn Apps. Twitter now allows you to embed videos right on your Twitter page, as well as share videos posted on Twitter. 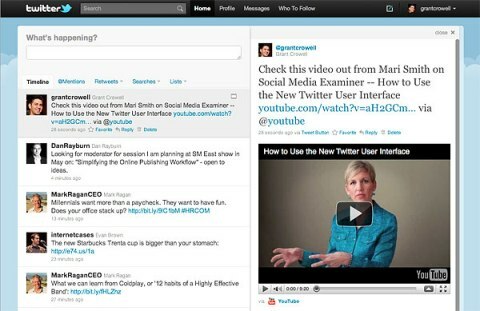 Example: an embedded video on my own Twitter account, shared from Social Media Examiner's YouTube channel. Facebook: I recommend checking out my interview with Social Media Examiner’s own Michael Stelzner, 10 Reasons Facebook Video Marketing Is Valuable for Business; along with my interview with social media expert Brian Solis, Facebook Video Marketing for a “Socialized Business Strategy“; and Facebook for business expert Mari Smith, whom we had the opportunity to interview at the last BlogWorld and New Media Expo. The Interview: Sounds like the most obvious one, right? Well, David Meerman Scott, author of The New Rules of Marketing and PR, along with Steve Garfield, author of Get Seen: Online Video Secrets to Building Your Business, say that video interviews are one of the simplest and fastest ways to put together a piece that elicits a social response. Vlogging: As recently reported here at Social Media Examiner, blogs are the #1 social media tool for doing business today. Not only can your videos be easily embedded in your blog around related text content, but it’s accessible and affordable to generate text content right from your own video for the blog post. Even WordPress now has its own online video platform (called VideoPress), and blog design themes for business are increasingly incorporating video-centric content. Social Experiments: Diet Coke + Mentos. This is one of the earliest records where a backyard experiment from an entertainment science show turned into a cultural phenomenon. Because social media was nary a blip at the time to major brands like Coke, they missed a good opportunity to capitalize when it was hot. Reviews: Amazon.com is one of the better-known examples of how consumers can now respond to an Amazon video about a product and also share their own video review. Today there are business models built entirely around customer video reviews such as Expo.com or BeautyChoice.com. Staff as Presenters: Companies like Zappos have video presentations of their products featuring their own employees. Instead of having a scripted actor, you have someone who knows the product and comes across naturally. Customer Feedback and Service: Some companies now have special YouTube channels for the purpose of allowing customers to submit their own questions, comments and suggestions. In turn, companies like the outlet store Crutchfield Electronics create videos that are more common and pertinent to customer conversations and addressing their needs. Real–time Responsiveness: One of the big factors in social media marketing is the ability to act in real time. An increasing number of businesses are learning to respond to breaking news with real-time information and commentary, all in video. Videos are immediately posted on social networking sites like Facebook and Twitter, embedded right into the post and shareable with everyone (and with proper attribution). Social media professionals already have a special advantage in working with video, for the very simple reason that video is naturally a “social technology” – probably more so than text. Video is going to continue to be easier to do; and whether you’re a social media marketer or a general marketing professional, it’s going to be more expected of you to do, so embrace it. Make video marketing an integral part of your social media marketing strategy. What do you think about video marketing? What tips do you have to share? Leave your comments in the box below. Grant Crowell is the senior media analyst and "videologist" for ReelSEO, an online magazine covering the business, technology and culture of online video, along with web video strategies for business.